As Warlords wound down, I kept all three of my Tailors* busy making bags to ensure that all of my Horde characters who would be actively leveling and doing endgame stuff in Legion would have Hexweave bags in all of their personal and bank inventory slots. The Underpowered Death Knight got full Hexweave bags, too, because she had decided to become my primary Banker. But then I got tired of grinding out bags, so I left my secondary Shaman and secondary Monk — whom I intended to retire anyway — with Royal Satchels in their personal inventory slots and random combinations of the smaller Frostweave and Embersilk bags in their bank slots. In a post last week-ish, Coffee Cakes & Crits mentioned continuing to churn out Hexweave bags with their Garrison Tailoring hut machinery not just to sell on the AH for teh golds but also to give to those in their guild who are leveling new Allied Races alts. This reminded me that I should get my bag-making operation going again, because someday I, too, will have new Allied Races alts who will need bags. Thus, yesterday evening I dusted off Kaobeka and took stock of the bag-making supplies that she had on hand personally and that were stashed in my guild bank. I don’t think I’ll try to make full Hexweave bags for all of my Highmountain Tauren**, though, but will be satisfied if I can get to the point where I have enough Royal Satchels & Hexweave bags, combined, to fill all of their personal inventory and bank slots. Anyhow, by keeping Kaobeka’s primary Hearthstone at Sunsong Ranch, it should be easy for her to hop back and forth each day between Pandaria, to farm Windshear Cactus at Sunsong Ranch to make Royal Satchels, and Draenor, to trap beasts and put in work orders at her Garrison Barn and Tailoring hut to make Hexweave bags. The problem is that her Garrison Hearthstone is broken. When I try to use it, the Garrison loading screen gets to 70 or 80% and hangs for a few minutes, and then I get disconnected. When I log back in, she’s right where she was when I tried to use the Garrison Hearthstone. I first started experiencing this problem around, um, Patch 7.2, I think. For a week or two, no-one’s Garrison Hearthstone worked. It wasn’t access to Draenor that was broken, or access to the Garrison instance that was broken — if I got to Draenor some other way, such as by a Mage teleport, the portal to Ashran in Orgrimmar, going through the Dark Portal, or using the sooper-sekrit backdoor teleport between the Timeless Isle and Gorgrond, I could then fly into the Garrison without problems — it was just the Hearthstone teleport that failed. After a few weeks, some of my characters’ Garrison Hearthstones started working again. After a few more weeks, I figured out that the characters who’d come to Draenor the “right” way — who completed the Tanaan Jungle intro questline — could use both the Ashran portal in Orgrimmar and their Garrison Hearthstones, whereas the characters who’d come to Draenor by the backdoor — who skipped the Tanaan Jungle intro questline — could use neither the Ashran portal in Orgrimmar nor their Garrison Hearthstones. Those characters could still get to Draenor by the Timeless Isle backdoor, though. Update: So I went and did the Assault on the Dark Portal questline with Kaobeka. At the very end, however, I couldn’t turn in the final quest because I already had a Shipyard in her Garrison, which put the landing site in a different phase. Her Garrison Hearthstone still disconnects, but she can use the portal to Ashran from Orgrimmar now. Going through the Dark Portal from the Blasted Lands puts her in Ashran, too. I can live with that. I probably really only have to visit the Garrison twice a week, anyway, because I can do the Hexweave CD anywhere and a full set of work orders for the Barn & Tailoring Hut takes about 3 days to complete. ** My Void Elf, being Alliance, will have to muddle along with the bags she can obtain from quests and boss drops until she has enough money to buy better bags on the AH. After two years of diligent weekly recruiting at Frostwall Tavern, this week Akanja finally brought the last of the Tauren followers to the combined Garrisons of Kamalia and my other Tauren characters. I’m still working on my “mini-Order Hall” Class-based collections of followers — that might take until halfway through the next expansion to complete! My Death Knight reached level 101 through fishing dailies, trying to get the Bone Fishing Pole. For the entirely frivolous reason that if she got her Artifact weapon, I’d only have to do one click to swap between her main weapon and her fishing pole when going fishing — instead of two, to re-equip main- and off-hand weapons separately — I took her to get her Artifact Weapon and establish her Order Hall. Turns out, with Acherus as the Death Knight Order Hall having been established way back at level 58 after the Battle of Light’s Hope Chapel, there wasn’t anything to do on the Order Hall front before going to get an Artifact, as the other classes have had. So off she went to Icecrown to pay a visit to the new Lich King. Frost DK feels very powerful. Other characters have died during their Artifact acquisition scenarios, but Kregga barely even broke a sweat. 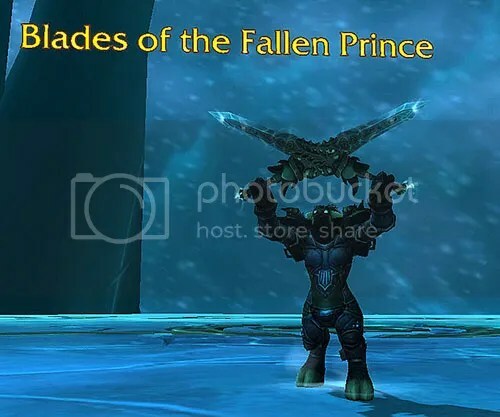 I confess that I didn’t recognize most of the Frostmourne-trapped souls that I encountered during the scenario. The two at the end, though — how interesting that those two should end up trapped inside Frostmourne after their defeats! Meanwhile, my Hunter had also reached level 101, through Pet Battling. 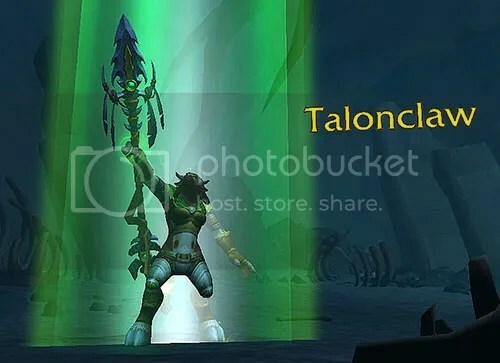 I had been planning all along to get Talonclaw first, because it is the Tauren weapon. The way the background for the acquisition of Talonclaw was laid out, the way the story ended for the NPCs who led me on the quest was inevitable — but still heartwrenching. I noticed one of the Garrison inn recruit Monk followers on the Wandering Isle the other day; I saw several Garrison inn recruit Hunter followers at Trueshot Lodge! I shall have to keep an eye out for Garrison inn recruit followers at the Order Halls of the other classes. Now I only have four characters left who still need to get through the opening scenes of their Order Hall campaigns: Paladin, Warrior, Druid, and Alliance Mage. New Character Selection Screen Sets COMPLETE! Today my Paladin finally got the Sunsoul chestpiece! It was the very last piece I needed to complete my collection of the Garrison Salvage Yard sets — otherwise known as the New Character Selection Screen sets. My poor Paladin had been running as many Garrison missions as she possibly could, letting the Crates of Salvage stack up to 20 before she opened them, for weeks trying to get that last piece to appear. Within the past fortnight or so, I’ve also gotten the last pieces I was missing from the Highmaul/Blackrock Foundry Paladin and Mage tier-lookalike sets. I am so glad to finally be done with running Garrison missions! Furthermore, I’ve been deliberately putting each character into her New Character Selection Screen outfit when she goes to collect her first Artifact weapon. I’d been wondering if my Paladin would have to be last to go to the Broken Isles — how long would she have to wait to be able to get her first Artifact weapon because of the stubbornness of Lady RNG in giving her the last piece of her New Character Selection Screen set? So now that she’s got the full set at last, I now feel like I can bring my remaining alts out to the Broken Isles in any order I please. Another week has gone by and I haven’t made much more progress in Suramar. One day when the faction-of-the-day was the Nightfallen, I went to do the world quest to shoot down bats in Felsoul Hold. While I was in the area anyway, I went another few steps down the leatherworking questchain and a few steps down the zone quest chain, but I didn’t finish either one. I’ll come back to them eventually — probably the next time I do world questing in that area. Another day, I went to do the world quest to activate beacons in Azuregale Bay, and while I was in the area anyway, I followed up on the Crimson Thicket breadcrumb — a very brief quest chain that didn’t seem to resolve, so I suspect I’ll be coming back there once I get farther along in the main zone story — and helped the Jandvik vrykul with their battle against the naga. I felt justly rewarded when they cheered me for saving their village, but I felt rather uncomfortable when Toryl then made the worst cultural and political decision of her career by appointing me Jarl of Jandvik. I’m sorry, Toryl, but I have no interest in sticking around to administrate in your village. So let’s treat it like an honorary Jarlship and you keep being the real leader of Jandvik, m’kay? By prioritizing the faction-of-the-day for my world questing, I’ve gotten to Honored with all of the factions and to Revered with Highmountain. I’m currently at 79/100 for Variety is the Spice of Life; in the past few days, I’ve started to peruse the map specifically for world quests that I haven’t done before. Hopefully, I’ll be able to finish that up by the time I get all the leveling zone factions to Revered. 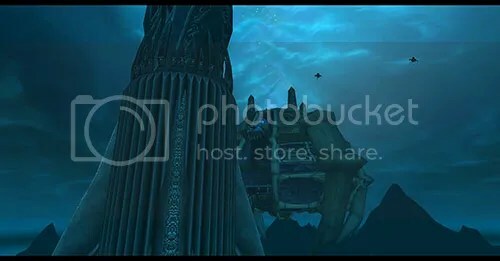 Then, when finishing the Suramar storyline will be the only thing that I have left to do to complete Pathfinder Part I, I might actually be able to focus on it. I’d balked at doing the quest to go retrieve leatherworking patterns from the Underbelly, but when I realized that I’d have to do it to get to the final leatherworking quests in Highmountain, I gritted my teeth and did it. I still have to actually go do those quests, though. And I still have to finish the Suramar branch of the leatherworking quests, too. I’ve seen folks complaining in The Queue about having to do Mythic dungeons for their professions, but that’s just for the 2 and 3 star recipes, right? I’m pretty sure that all the 1 star recipes come as quest rewards, and once I’ve got all of those, that’ll be good enough for me. Meanwhile, my alts are starting to get “done” with their Garrisons. All of my alts have finished collecting their Salvage Yard sets except for the Paladin, who still needs the chestpiece. One of the clothies finally got the Highmaul/Blackrock Foundry Mage Tier-lookalike shoulders, so they don’t need to worry about those missions anymore. My plate alts are still running Highmaul/Blackrock Foundry missions trying to get the Paladin Tier-lookalike chestpiece. I guess I should take all the alts who are “done” with their Garrisons to New Dalaran and get them set up in their Order Halls with their first Artifacts. Much like I did at the end of Mists, I want to pause for a moment to reflect on what my characters accomplished during Warlords. I leveled 15 16 characters to 100 — all 1112 (counting the Demon Hunter) classes as Horde, plus one Alliance Mage, plus Horde doubles of Death Knight, Shaman, and Monk. Almost as soon as I’d finished leveling them, however, I decided to Retire my Horde doubles. Although the Garrison wasn’t nearly as customizable as we might have hoped, it still offered some latitude for expressing personal preferences to differentiate amongst my characters. 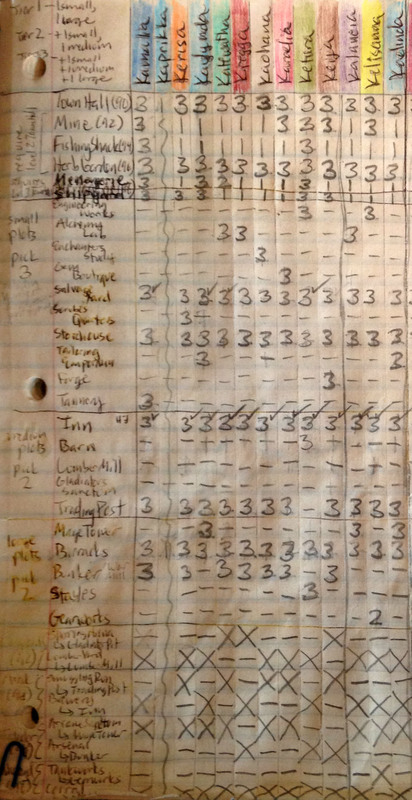 Certain buildings were so useful, though, that the differences mostly came down to building the correct small building for each character’s individual crafting profession and occasional variations in medium and large building choices. For the sake of convenience, I kept their general Garrison layouts very similar. Although there are no active Lumber Mills in my characters’ final Garrison choices, various characters did have Lumber Mills at one stage or another of their progression through the expansion. You would think that with this goal of making each character’s Garrison into a sort of proto-Order Hall for her Class in mind, I’d have made a list of which Followers each character specifically needed to recruit soon after the beginning of Warlords, but no, I didn’t do it until a couple of weeks before Patch 7.0. Thus, Kamalia was so focused on trying to recruit all the Tauren Followers that she often turned down Followers that she should have hired (ie Shamans that weren’t Tauren). Even if every character gets a Follower whom she actually wants to hire every week from now on, it will take me about four more months of visiting my Garrisons at least once a week just to recruit new Followers at the Inn to completely perfect my characters’ Garrison staffing. I did the Alliance version first. I hoped that the Horde version would make some more sense of some of Sylvanas’ actions. And yes, yes it very much did. My absolute favorite thing about the whole experience, though, was what I observed when I took a thorough tour of the docks area before turning in the first quest. I don’t think it’s too terribly spoilery to write about this, as it’s not related to the big lore reveals and many folks may have missed it in their rush to get to and through the scenario itself.